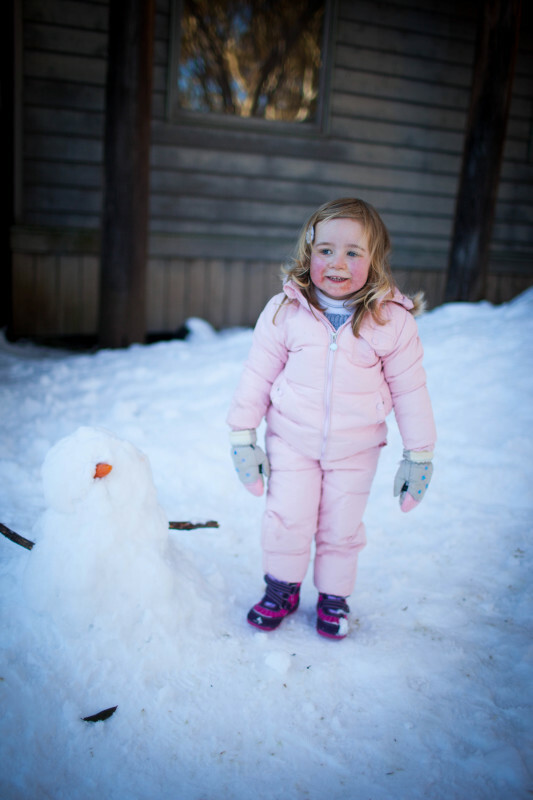 Growing up, we weren’t snow people. 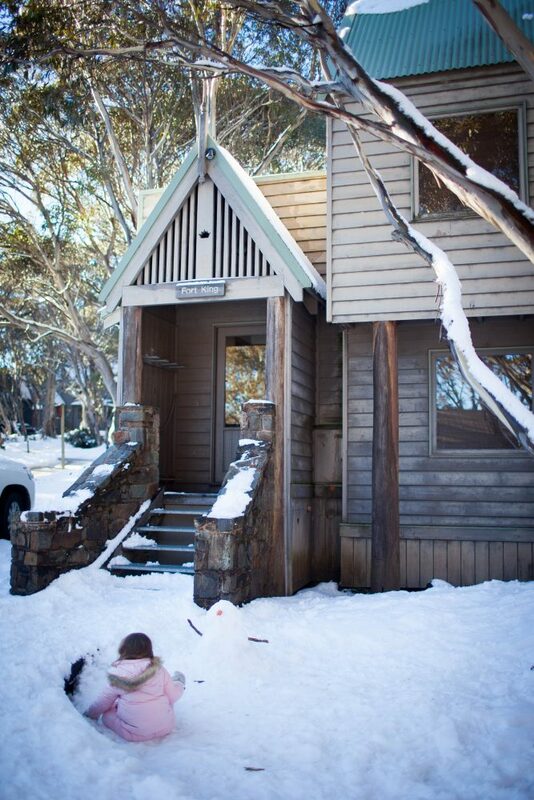 I don’t think I saw real deal snow until I was 18 and ‘went to the snow’ at Mount Baw Baw (a mere hour-ish drive away). In my late teens/early twenties/uni days, we skied every year with friends though. I learnt to ski (very badly) and enjoyed the slopes for a wee while, before retreating to the confines of the indoors and a warm hot chocolate in hand. A snow bunny I am not. Thorpdale does often get snow – white on the ground even. It will snow here every few years, moreso higher up in the back hills of Childers like it did last year. 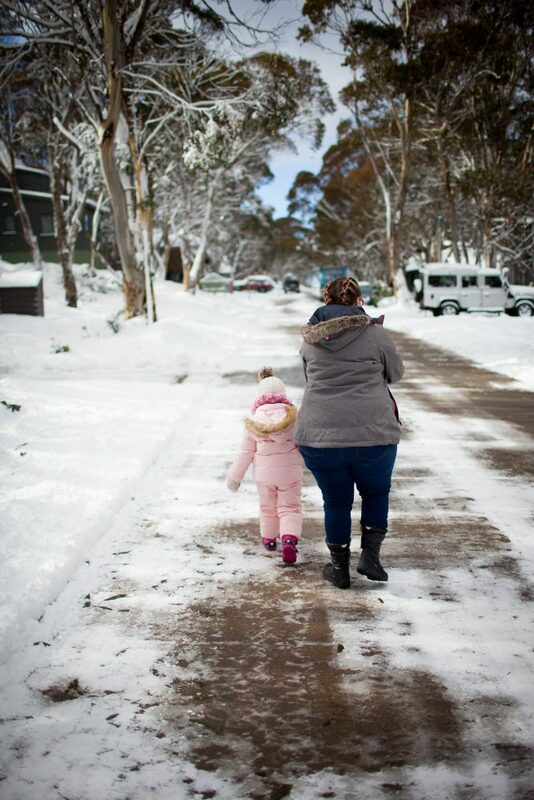 I remember going for a drive with Dad as a kid to see the snow on the hills, and sometimes there being enough snow on the ground to raid Mum’s saucepan cupboard for a wok to sit in and slide down our hills. But skiing? No. Snowman building? No. 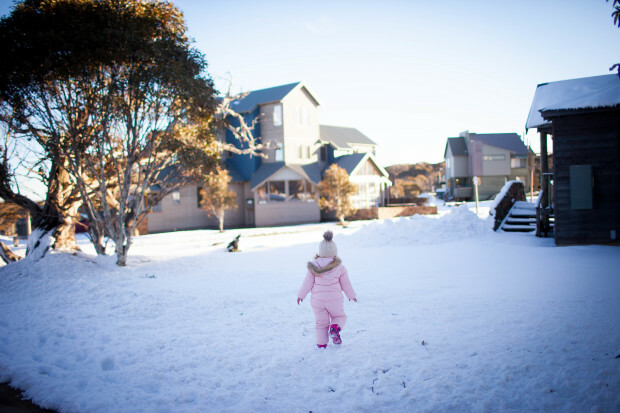 This little Winter wonderland getaway was the perfect introduction for our girls to the snow – Eleanor is a week into being introduced to ‘Frozen’ so you can imagine the excitement of building an ‘Olaf’! 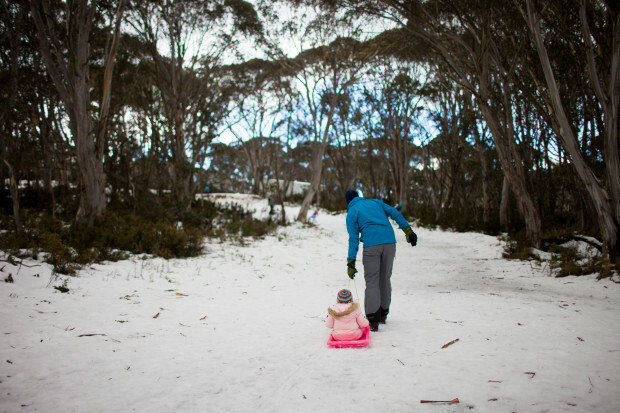 And although most people thought we were bonkers taking a toddler and crawling baby to the snow…it was really fine! As with most of our adventures, the girls were really…fine. More than fine. Loved it! Harriet only had one ‘snow moment’ crawling around in it, all rugged up in her snowsuit (thanks Aldi) before she swiftly pulled off her mittens and tried to eat the snow. Cue meltdown about how freezing her hands were! So, bit of a fail there. 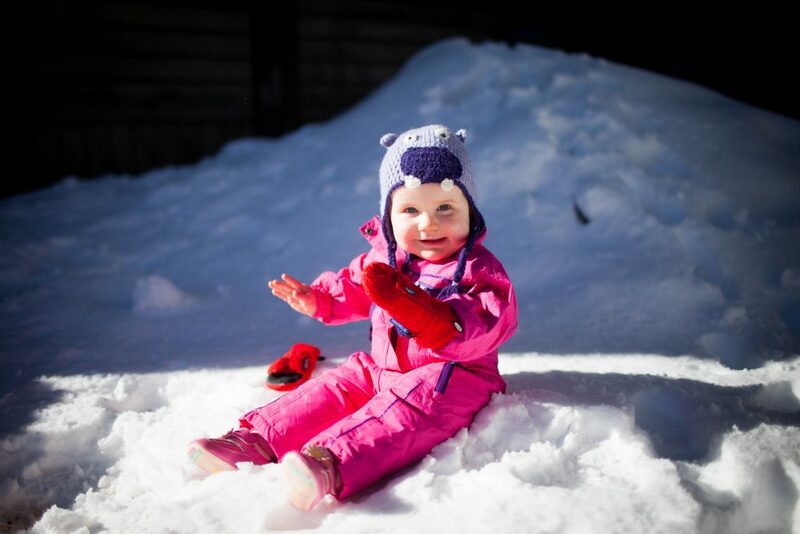 But, if she kept mittens on I think the crawling baby in snow experience would have been just…fine! 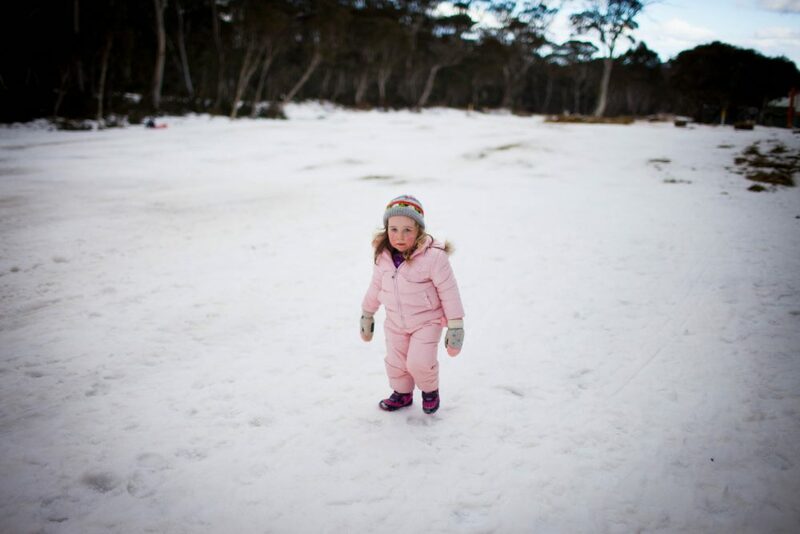 Eleanor on the other hand loved the snow. It definitely helped that the night we got there we had a beautiful big dump of powder – we woke in the morning and looked out our chalet’s bedroom window to the prettiest scene. Just magical! Our house in the picturesque alpine village was ‘Fort King’ and slept all fifteen of us. The village has amazing gas heating to all of the chalets – this blows my mind as gas heating to me is something akin to unicorns and flying pigs. Sorcery! We slept on the mezzanine level of our chalet and let me tell you – it was hot! We slept with the window ajar. In the snow. Yup. Good heating. Peeling on and off the layers of not just the girls but myself was a full time job! Matt embraced his inner ski demon and was up on the mountain before us, leaving home at 4am on Thursday to get a day’s skiing in before we followed him later. 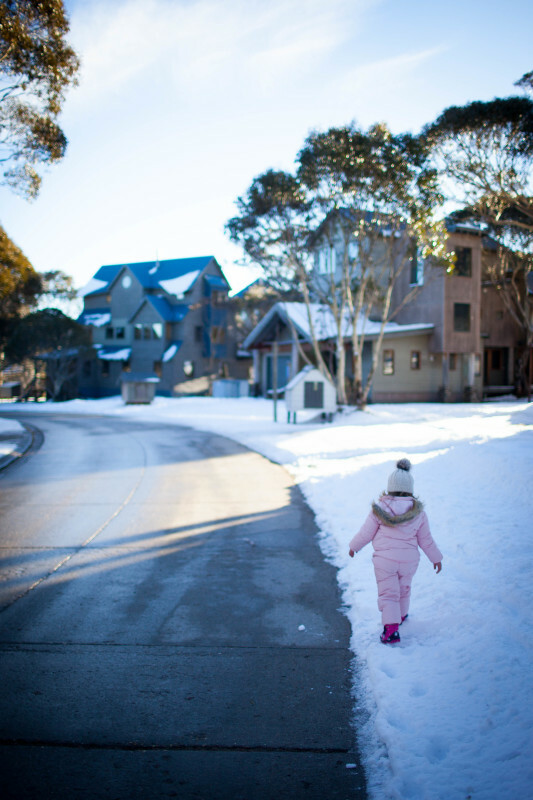 He got in three days of skiing whilst the girls and I hung out in Dinner Plain, going for snowy walks around the village, caffeinating at Mountain Kitchen and building snowmen at our front door. I didn’t even bother taking the bus up the mountain – there was beautiful snow right on our doorstep! I also got to catch up with Lisa, who was coincidentally at Dinner Plain for the weekend also. Must be something in the water as there were two pregnant ladies in our chalet too! On Sunday Matt stayed home (and worked, another eye roll emoji please?) but also took Eleanor tobogganing and built a snow slide and steps in the little snow mountain in our front yard pushed up by the snow plough. She loved the tobogganing – a pink one no less! Nicely played Daddy. 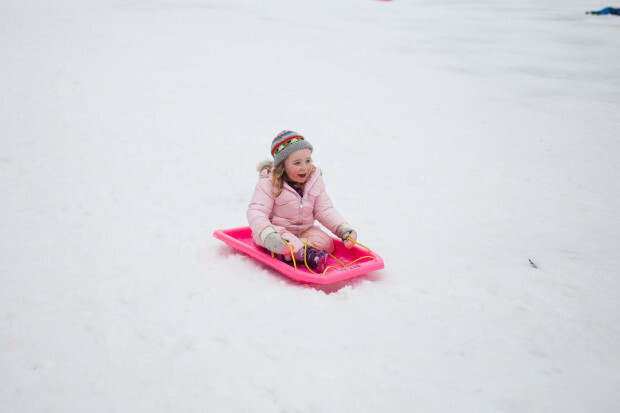 Hooning down the toboggan run like a daredevil – I didn’t think she’d do it but had no fear! Walking back up was a different story. I hear you, Blossom. Too bad she’s a bit little for a t-bar ski lift. 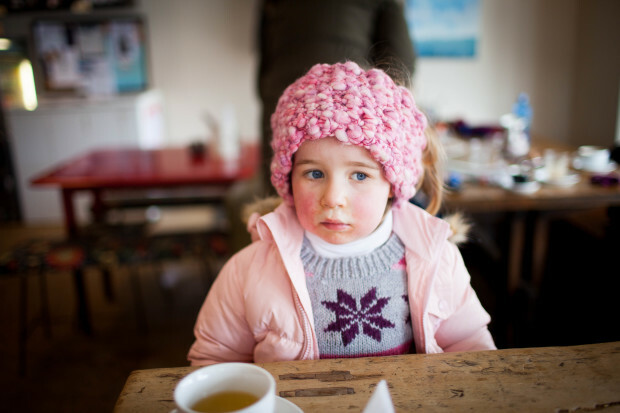 It all got a bit much to walk home, a few tears and a screaming tantrum, no trip to the snow with a toddler and baby would be complete without would it?! 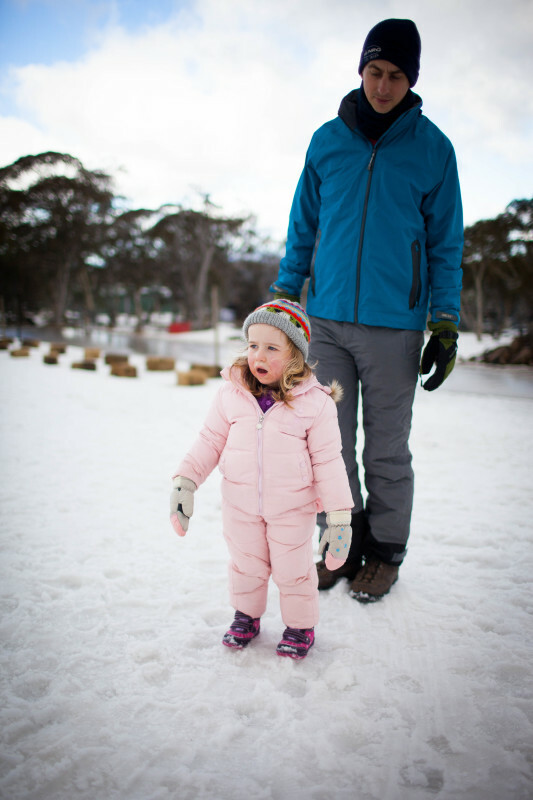 Overall though, Eleanor (and Harriet) did so well in the snow, keeping them rugged up and warm and dry helped no end obviously, as did having great snow boots (thanks Aunty Lisha!) It actually wasn’t as cold as I was anticipating – walking around the village I wore pretty much what I was wearing for a cold Thorpdale day. But for snow adventures I had waterproof ski pants and jacket and ski gloves for snowball making. Eleanor just wore her thermals under her snow pants though, and a long sleeved top and knitted cardigan/jumper under her snow jacket. Harriet I was pleasantly surprised actually kept a hat on! For a minute. But that’s a minute longer than usual. The girls also did exceptionally well with late nights, we were the only ones with kids so the girls endured some very late bedtimes after dinner’s out and trips to the brewery. Thank goodness for baby wearing is all I’m saying! Harriet lived in the ergo or sling, and even Eleanor gave the ergo a workout after the refusing-to-walk-tantrum. All four of us sleeping in the same room is always a hoot…ei yi ei! Of course now that we’re home they slept last night all night without a peep until 8am – where was that sleeping on holidays?! Such a fun filled weekend for our little family – with great friends and lots of memories made. My bestie’s cousin’s wife (still with me?) who was staying with us commented how extra special it was that four friends – well, five if you include Matt – from school still go on these little holidays together. Huh. We don’t think much of it, but perhaps we should? All of us are still pretty close from school…and a few of us have gone on to marry ex-students from the same school. And our friends cousins. And friends of friends. Small country towns, y’know? We are pretty lucky, as are our kids, to be all growing up together with this extended family of sorts. Often we don’t see each other for yonks and yonks, but when we do it’s easy and fun and a good time all round. That stuff is good enough to bottle. So until next time Dinner Plain – now a special place for us, we hope to be back next year, with bigger kids (and those babies that have been incubating in my friends tummies this snow trip – exciting times!) 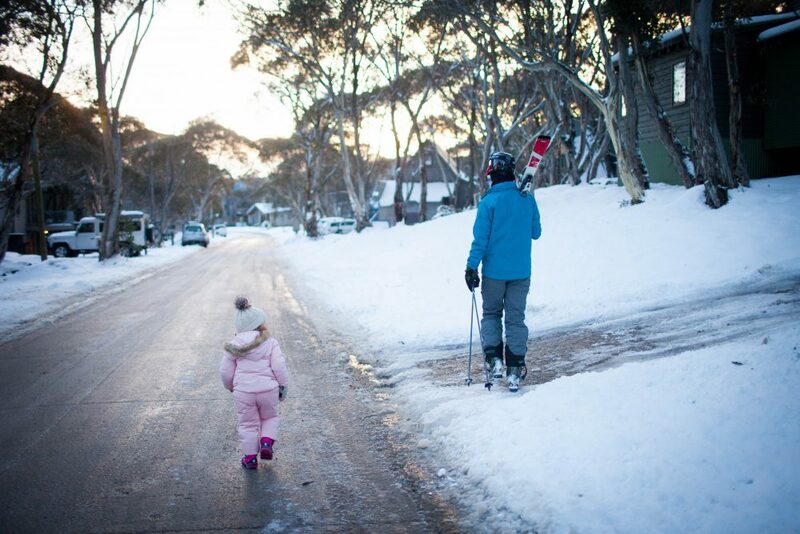 With an Eleanor very keen to ski “just like Daddy! Down the mountain! 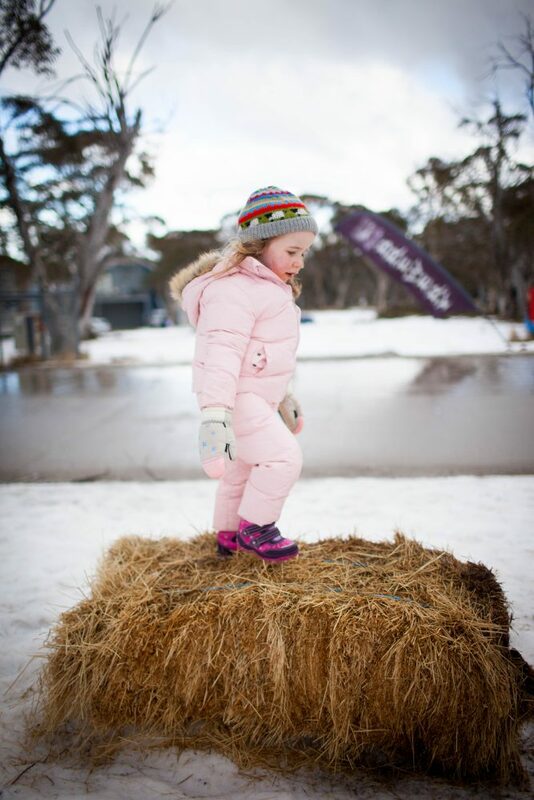 Shoop shoop shoop!” (oh dear God help us all…and my back pocket..and the ski school instructors) and a walking Harriet next year. 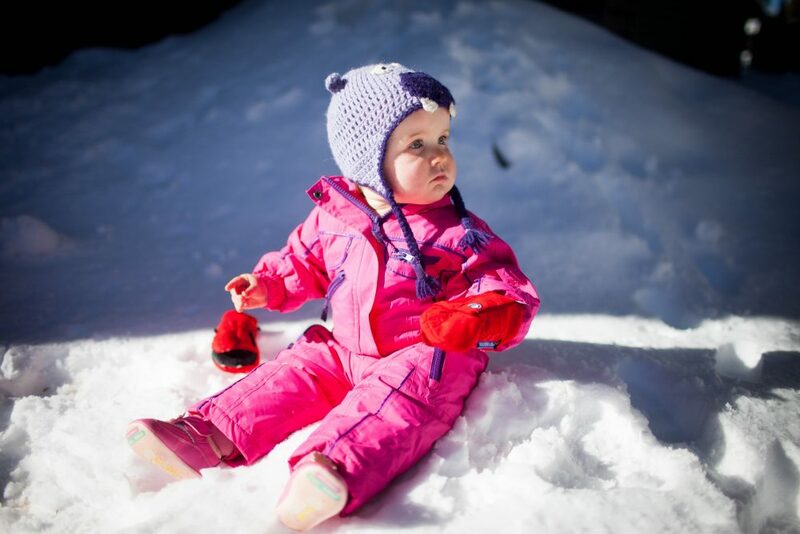 More adventures to be had, but this year we were pretty pleased that our girls enjoyed their first taste of alpine air in the Winter, and perhaps got the snow bug like their daddy. And maybe their mummy. Maybe. I enjoyed coffee at Mountain Kitchen every morning – can recommend their caffeine hits and excellent service with little people in tow. We had sampled an array of beers at Blizzard Brewing Company, the highest brewery in Australia. Eleanor’s snow jacket and pants (which are a bib and brace overalls) I bought here. Harriet’s suit is from the yearly Aldi ski sale, which we actually bought years ago for our friends little girl Penelope! Handmedowns are life. 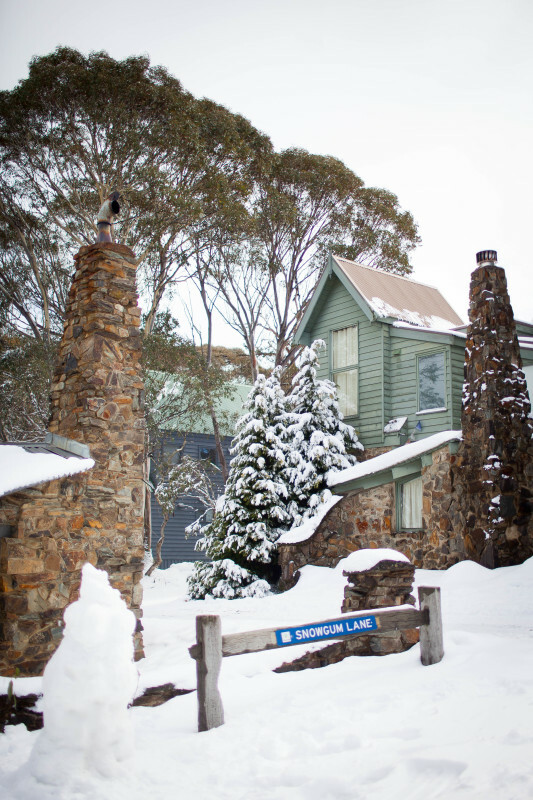 For more information about Dinner Plain and exploring the Mount Hotham area, in Winter or Summer, you can visit their website here. We are planning a trip to the snow with our three boys next winter, I cannot wait! Snow is not something we see in South Australia, so our boys are very excited. As far as kids sleeping whilst on holidays….I reckon you need a a holiday after the holiday to catch up on sleep – what is with that?! Ugh – always! ALWAYS! Whereabouts are you headed next year? 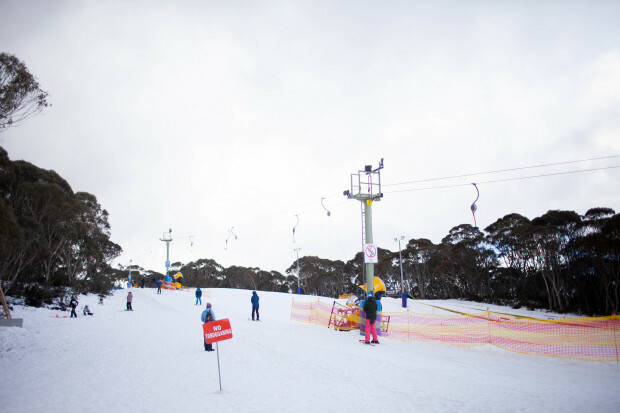 To Hotham? 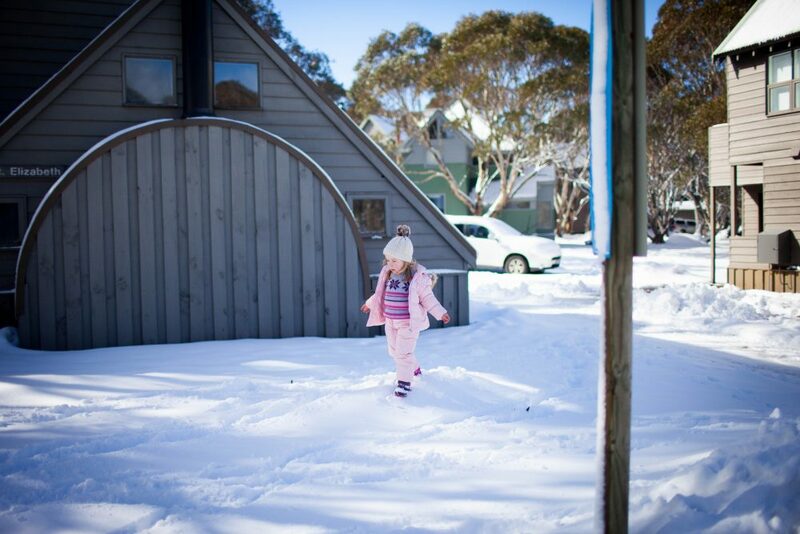 Maybe Hotham, Maybe Mt Buffalo? What is better for young kids do you reckon? We know little about either to be honest. I guess budget friendly (hopefully ish…. Is that even possible at the snow?) 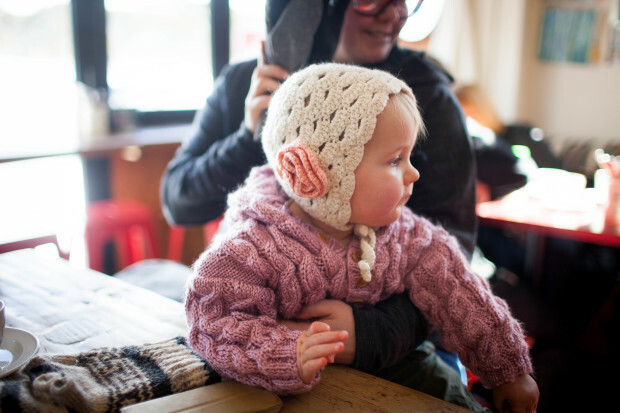 Kid friendly, and a cute coffee shop or two for me to defrost in….. Your trip looks amazing! I am sure the girls had a great time despite the meltdowns and it sounds like you did too. When we were kids, wanting to see snow, mum used to tell us to look in the freezer ? 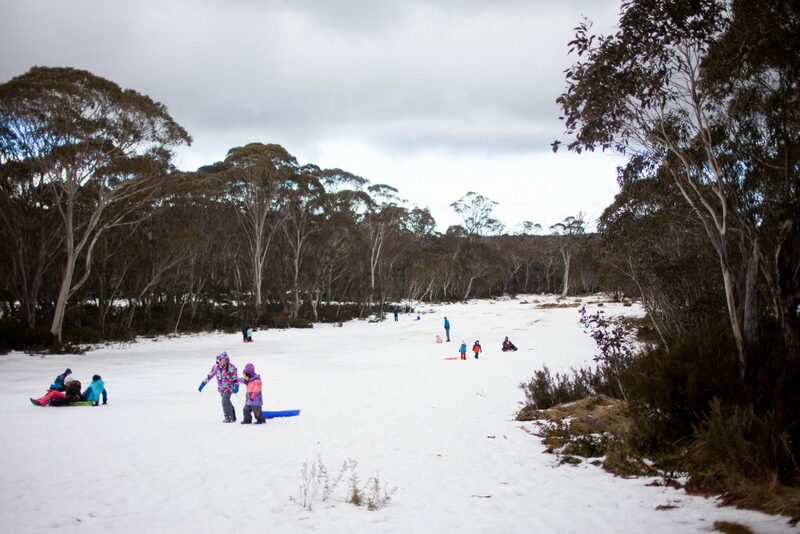 We did go for a couple of winter holidays in Canberra, when I was an older teen and do a snow day trip. I would love to stay at the snow some time. 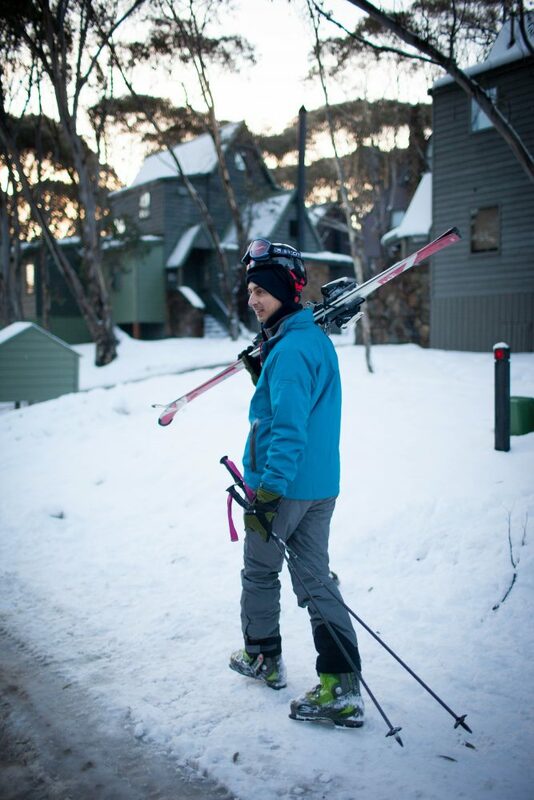 I can’t say I’ve ever skied and probably never will – wuss. I’m the same, I think you have to be a bit mad to snowboard, need confidence that I lack!